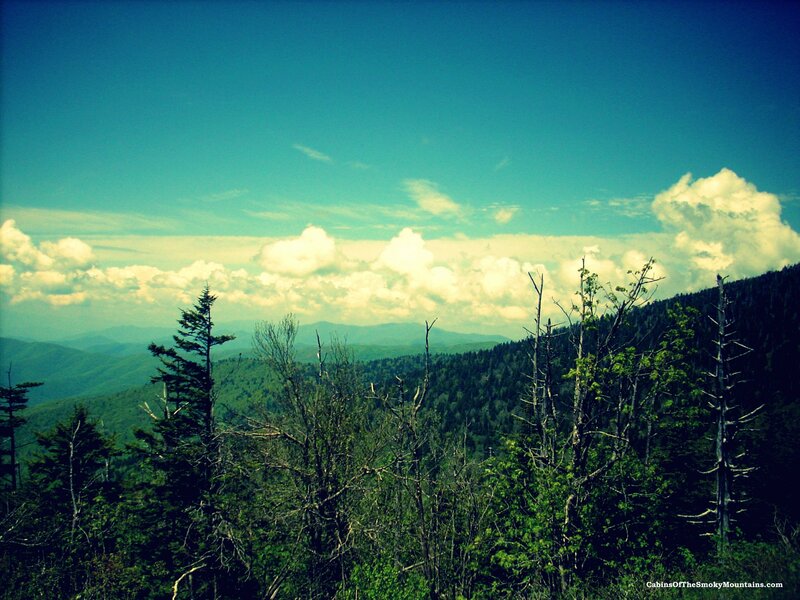 Andrews Bald is a short, moderate hike from Clingmans Dome, and it’s a great place with a fantastic view. Balds are high-elevation grassy meadows. 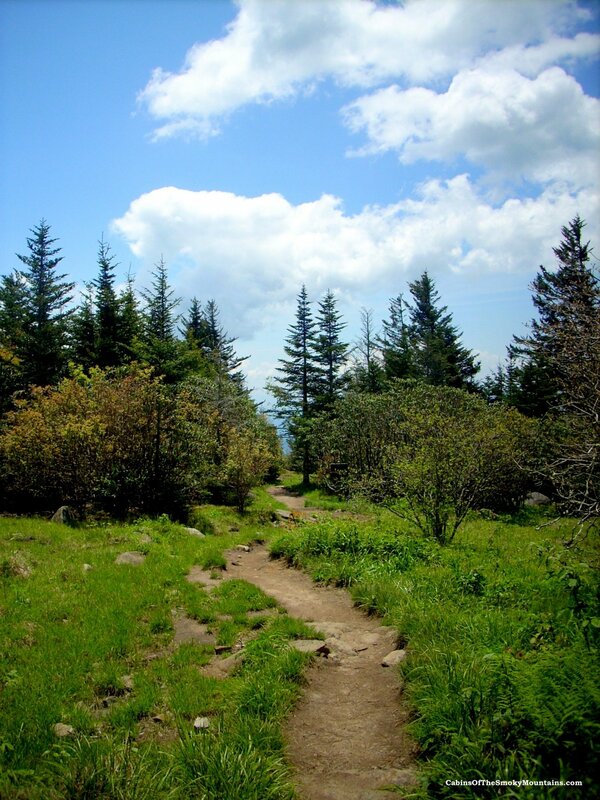 Most of the trail is shaded, but here’s an open part of the trail, followed by a taste of the view, in a couple of pictures shot by Kelseah Lawson.